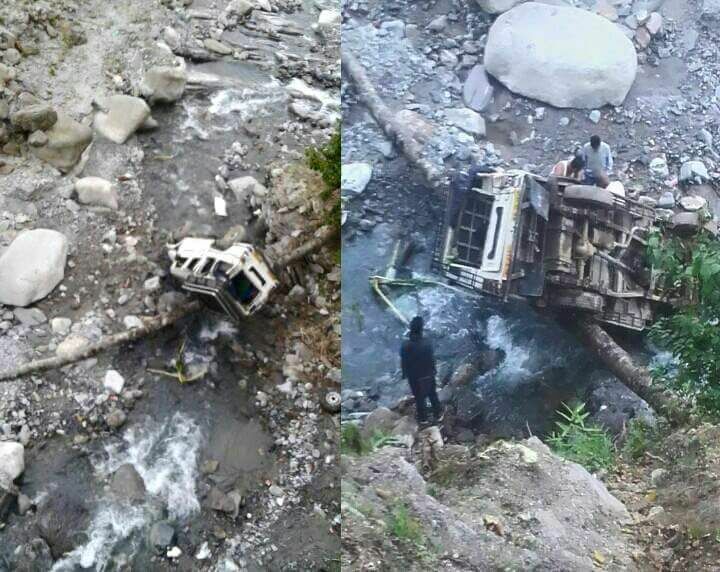 A vehicle carrying members of a family who were returning after attending a shraddh ceremony of a relative fell down a hill and landed on a stream below a non-asphalted road at Gitadabling village this evening, killing three persons and injuring nine. Police sources said the accident happened when the vehicle was returning to Samthar village from Nokdara at a place less than 1km short of Gitdabling, around 4pm. Gitdabling is about 30km from here.